Concord City Club at Gibson Mill, located in Concord, NC, is housed in a 100 year-old beautifully restored classic red brick southern mill. The site was a historic plant which produced fine American Made bedding until the shifting global economy changed the way business was conducted. Manufacturing went overseas to China and India, and the plant was left empty. Four friends walked around a huge complex, nearly 700,000 square feet located on 58 acres of real estate about one year after it was closed. "If these silenced buildings could talk," they thought, "imagine the stories they could tell." They decided to pursue a purchase of the complex and bring activity back to its buildings. 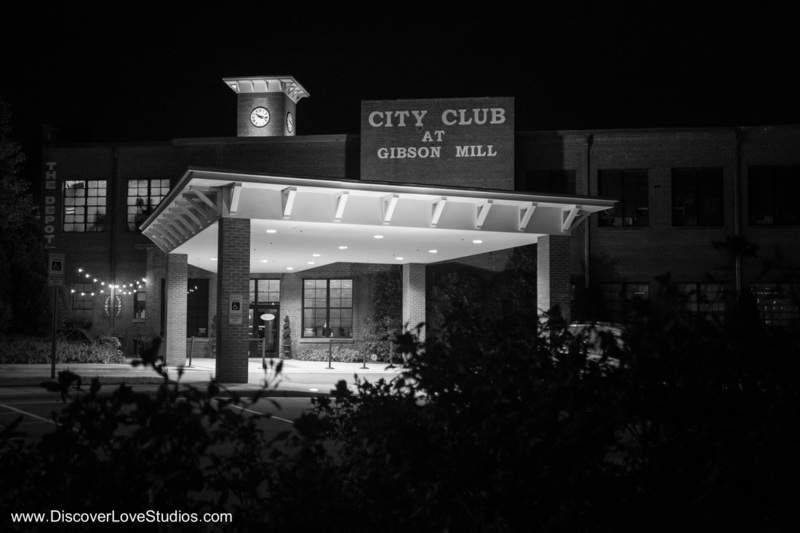 Then came the birth of City Club at Gibson Mill, Venue of Distinction and Concords only private club! Concord City Club has 15,000 square feet of divisible event space with lighted paved parking for more than 500 vehicles. Our outdoor portico is multi-functional, useful as a covered entrance for your vehicles or as a covered space for outdoor entertainment. We also have the capability to re-create our venue to cater to areas for auction items, registrations, or additional booths in a trade show setting. ​ For years, City Club at Gibson Mill has been a top-choice referral venue for both leisure and business oriented events. Weddings, Fashion Shows, Birthday Parties, Proms, Concerts, Galas, Tradeshows and SO MANY more event types call us their "home" base location. We value our customers and make sure that their happiness is our priority. As a privately owned venue, we have the advantage and opportunity to make every experience a personal one. We are here to serve you and provide the ultimate satisfaction guaranteed package.